Posted on November 21, 2018 at 10:36 am. The Nevada Gaming Control Board has two new people added to its “black book” of banned individuals, these being the notorious gamblers who defrauded MGM Resort’s Bellagio casino of $1.5 million. The two individuals, James Russell Cooper and Anthony Grant Granito were added last Thursday, and will no longer have access to any Nevada gambling facility. 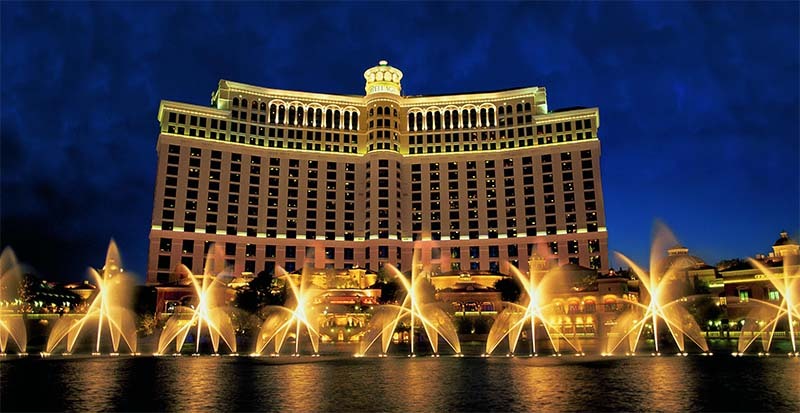 In 2015, the two were among four persons charged with multiple counts of felony cheating and theft, for a scam that occurred between July 2012 and July 2014 at the Bellagio. The scam was facilitated by Cooper and a Bellagio croupier, Mark Branco, who paid undeserved winnings to Jeffrey Martin and Grant Granito. This was mostly done through a verbal direction to the croupier, with the accomplices immediately throwing their dice. With this, the wagers would be declared as whatever shows on the dice. In 2015, all the four perpetrators pleaded guilty. However, a report by Las Vegas Review-Journal indicates, out of the four, only Branco is currently behind bars. Granito and Cooper did not mount a defence against being included in the black-book, but reports indicate that Martin may challenge the decision in December when the regulatory board meets. Being in the black book means one has committed a serious offence, with Cooper and Granito the 33rd and 34th names added to the book, ever since legal gaming began in Nevada. The recent additions on the list include known scammers and cheats, while the original names were that of individuals involved in organised crime.